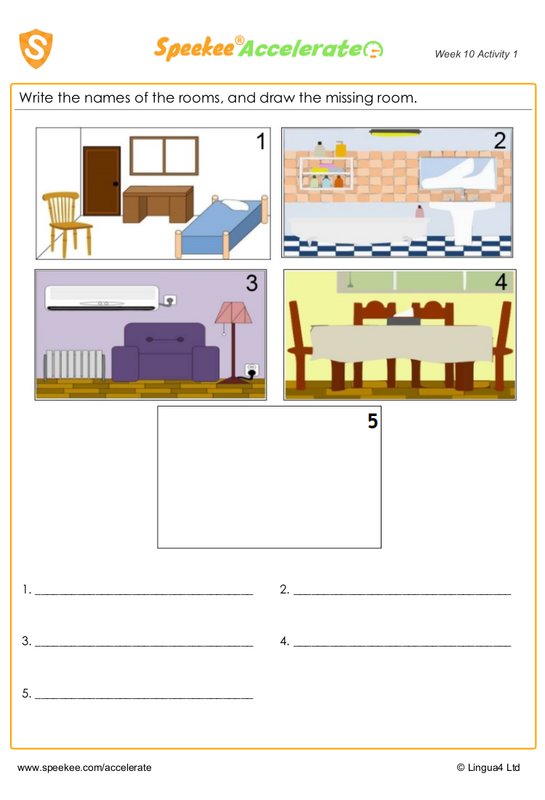 Rooms of the house in Spanish worksheet. Write the names of the rooms, and draw the missing room. Write the names of the rooms, and draw the missing room.